The Children’s Global Media Summit (CGMS 2017) ran from 5th – 7th December 2017, welcoming over 1000 delegates to Manchester for an action packed 3 day programme. The overarching theme of the Summit was “Generation U by the Summit” – the digital future will be without limits or end, an unlimited resource with unlimited possibilities for an unlimited generation. The aim was to bring together experts to debate and shape the future of media for under 16’s. Chosen by the foundation of the World Summit on Media for Children (a global movement committed to developing and improving the quality of media for children), BBC Children’s were the lead content provider with Conference Partners International and Marketing Manchester working in partnership to successfully win the bid to develop the Summit strategy and deliver the vision and legacy. The keynote sessions surrounded 5 key themes: Innovation, Empowerment, Freedom, Entertainment and Education. Speakers included CEO’s, Vice Presidents and senior executives from some of the world’s leading media and broadcasting companies including: The Walt Disney Company, ABC, BBC Children’s, Sky, YouTube, Sesame Beano Studios, PBS and many more! 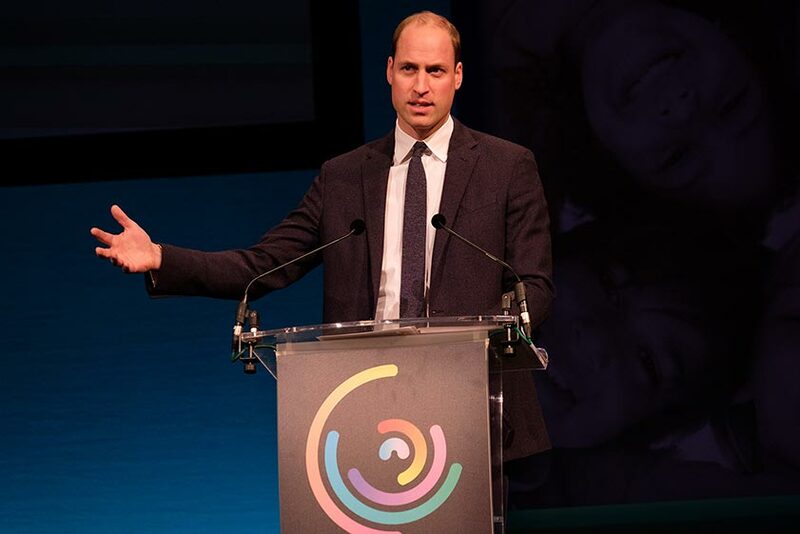 In addition to the impressive line-up of speakers, CGMS17 welcomed none other than His Royal Highness, The Duke of Cambridge who gave a keynote speech about the impact media can have on children and their mental health. He asked the Summit to help solve the problems that our youngest audiences face online every day. Whilst the Summit is held every three years, there is very little traction or legacy between the Summits. This presented a challenge, as no historical data, contacts or brand legacy were available. Audience engagement and acquisition was a key priority and CPI worked closely with BBC Children’s, local and international stakeholders to organically create a community, build the database, create the brand and generate awareness of the Summit. Relationships with our key commercial partners such as Google and Talk Talk played an important part in the viral marketing and audience generation, engaging with their respective communities. The outreach to the target audience was generated via media organisations, government and leading academic institutions worldwide. Over 150 international organisations engaged and along with active and evolving content on social media the word spread that the Summit was taking place via engagement with the targeted and profiled audience to secure a high volume. of participants from across the globe. The new Generation U focus was chosen three months from the date of the Summit as a clear and focused theme for the Summit. The change of the core theme, meant that the speaker recruitment increased from 30 to 130, the programme was completely revised using the pre-existing well promoted pillars but with a new focus. As part of the revised focus for the Summit came a full re brand. The CGMS brand was refreshed to ensure an identity and affinity with the target audience, together with a new line up of speakers and session topics. This changed the planning timescales considerably along with challenges to the budget to help fund the high profile speakers and develop content… New content was curated, together with refreshed designs and marketing campaigns promoting the programme. Six weeks before the Summit H.R.H Duke of Cambridge, Prince William and Catharine, Duchess of Cambridge were confirmed to attend the Summit. Prince William presented a session on how unlimited freedom in the digital world may be impacting children’s mental health and wellbeing. This came with the expected security measures, venue searches, registration and a robust identify check on all attendees both pre-event and at all the access points of the venue. There was an embargo on announcing their attendance, with the announcement to be made only one week from the Summit. The challenge was not only in implementing and managing the increased security measures but also the impact of the significant last minute registrations. An impactful, thought provoking and successful Summit that ran seamlessly; delivering a legacy to help shape the future of children’s media by creating a media world to do more than ever before for children to provide them with a world that is fun, clear, playful and safe. 130 speakers from NBC Universal, Netflix, Cartoon Network, Disney, Fremantle Kids, Viacom and of course His Royal Highness, Duke of Cambridge, Prince William. Headline Partners such as Google and Talk Talk.